Welcome to the Laboratory of Dr. John T. Harty, Ph.D., in the University of Iowa's Department of Microbiology and Immunology. We are also associated with the Department of Pathology, the Interdisciplinary Graduate Program in Immunology, and the Cancer Center at the University of Iowa College of Medicine. 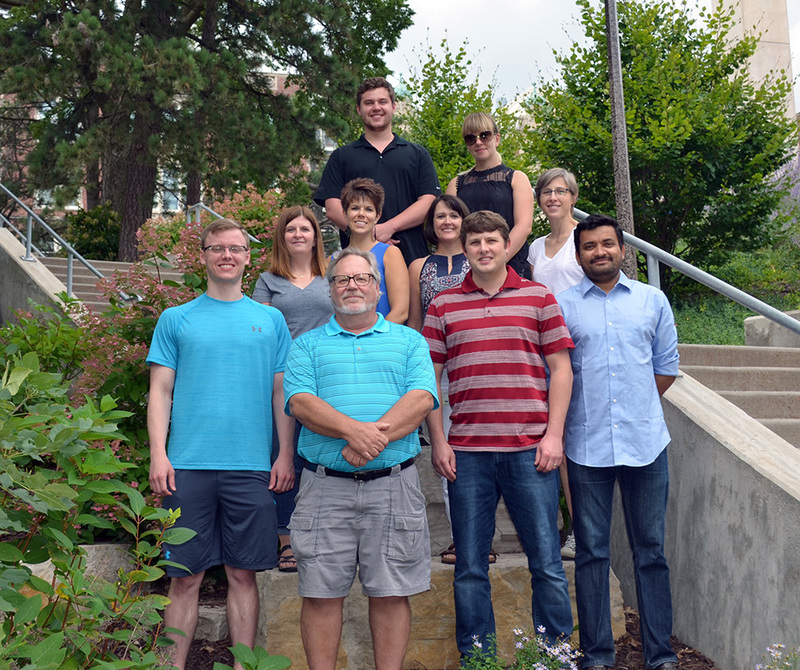 Research in the Harty laboratory is focused on understanding the dynamics of the T cell response, how effector and memory T cell differentiation are regulated, how memory T cell populations are maintained and how they can be generated and manipulated to enhance protective immunity. Research from our lab was featured on the cover of Nature Medicine. The cover image depicts a germinal-center reaction in the spleen of a mouse infected with Plasmodium yoelii, after treatment with anti-CTLA-4. CD4+ T helper cells (green), B cells (blue), germinal-center B cells (white) and plasmablasts (red) are shown. Image credit: Dr. Samarchith P. Kurup and the University of Iowa Central Microscopy Research Facility. Artwork by Erin Dewalt. Congratulations to Dr. Scott Anthony for being named the 2019 Lefrançois-BioLegend Award Recipient at the 2019 AAI Meeting. Established to honor the memory of AAI member Leo Lefrançois, Ph.D., this award is intended to advance the career of a trainee (graduate student or postdoctoral fellow) who attends the AAI annual meeting and presents an outstanding abstract specifically in the area of mucosal immunology. This award is generously supported by BioLegend and donations from friends and colleagues of Dr. Lefrançois. Congratulations to Dr. Stina Urban for being named a 2018-2019 AAI Public Policy Fellow.